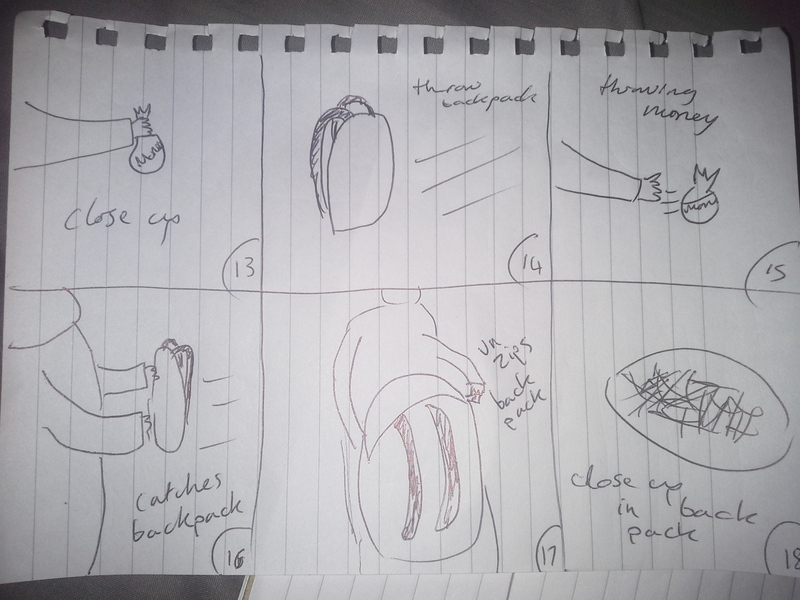 Developing of a storyboard using the script created originally and using as many shots as possible to convey the meaning of the story. Only to be used as a draft for what to film and the final edit. Even though the location was changed on the actual shoot the basic choice of shots i.e. close up, was still followed. This method helps centers the productions focus, enabling a quicker shoot with less issues as everything should be pre-planned. The images a simple but easily understood for quick, visual access giving a smoother production, especially if a member of the team wasn’t present during pre-production. The first board shows two different characters meeting, at the moment with only one word dialogue if necessary and arrows for the direction of movement. A box has also been drawn around the character’s eyes to show an extreme close up is wanted. Symbols are also very easy and a good visual aid to use for instance the ‘?’ (Question marks). This allows a quick response to understand that the character is confused. There is no back ground just the detail and items needed to carry on or lead the story. In this case the backpack. 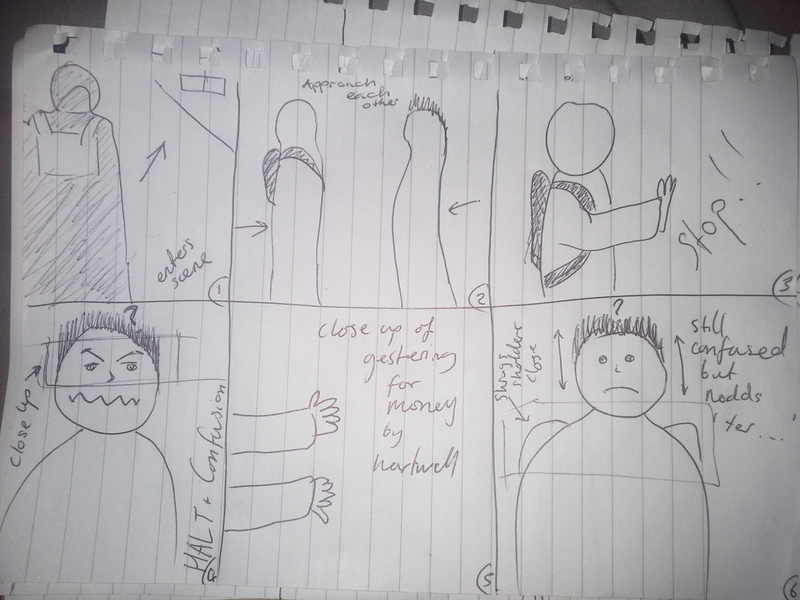 This is definitely a draft storyboard as on a true story there would be no writings, although annotations are usually made underneath the drawings. 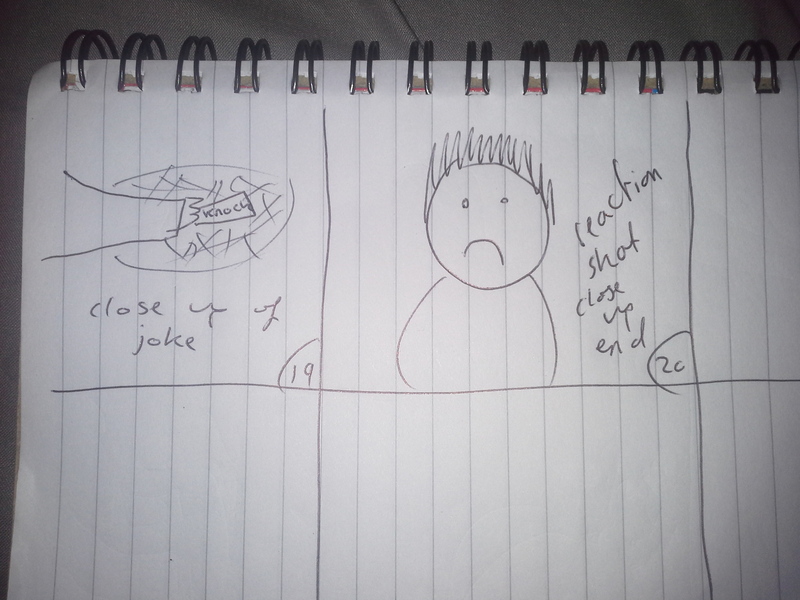 Again simplicity is the key to a quick and easily read storyboard. 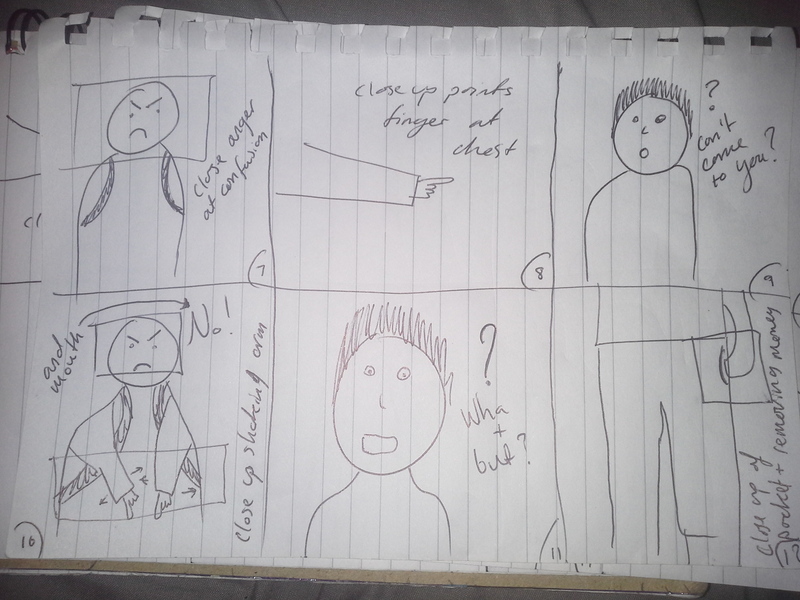 This storyboard was designed for the Coverage group which included: Simon Picken, Laura Humphrey, Jack Fenton and Charlotte Morgan.